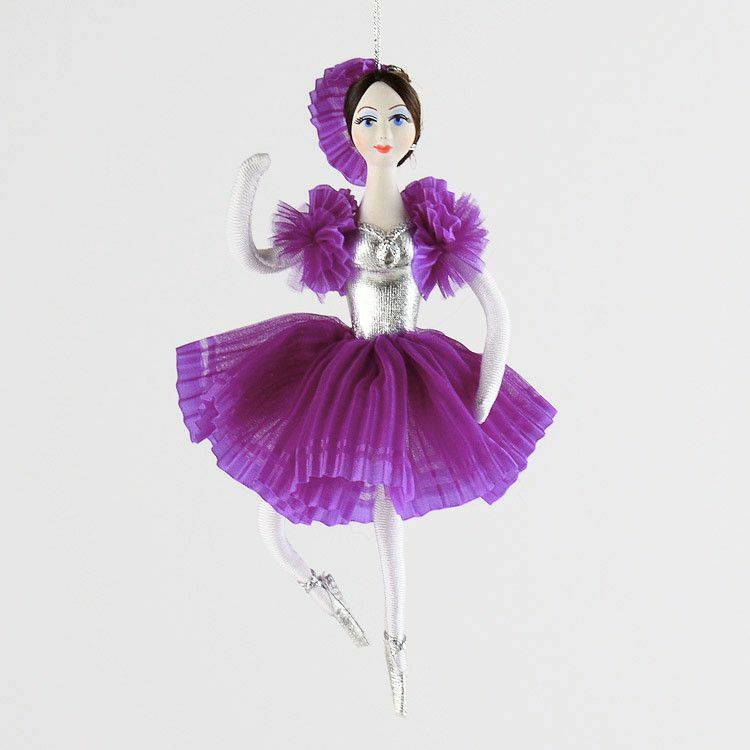 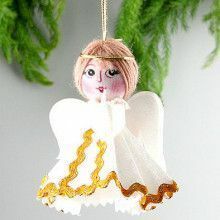 This purple ballerina ornament was hand made in Russia with lots of love and detail. 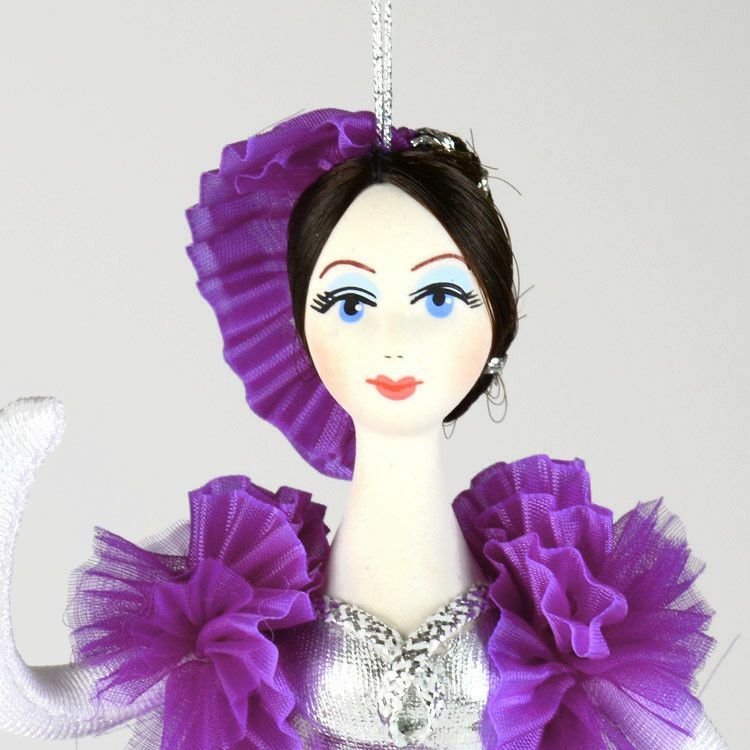 The doll has braided hair, soft and movable body parts, and a head and bust made out of porcelain and hand painted beautifully. 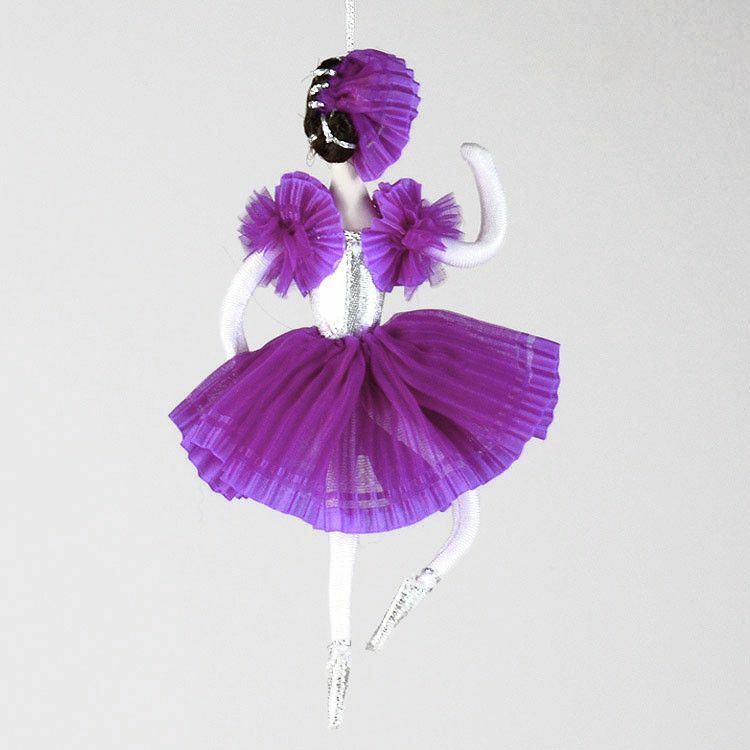 The rich purple tutu dress is accented with a silver bodysuit and silver ballet shoes. 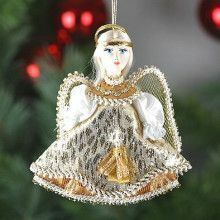 This 6" tall and about 1" wide doll would make a great gift for any dancer!